Transport for NOLA believes that the CBD transfer station should be centrally located, facilitate easy connections to Jefferson Parish Transit buses and the new Loyola Streetcar line, and include design features such as ample shade and seating, information kiosks, next bus arrival signage, restrooms, concession areas and more. Combine the #24 Napoleon and #28 Martin Luther King buses into one line and terminating the new line at Union Passenger Terminal requiring passengers traveling to Canal Street to transfer to the Loyola Streetcar. Terminate the #15 Freret bus line at Union Passenger Terminal requiring passengers traveling to Canal Street to transfer to the Loyola Streetcar. Introducing the Loyola Streetcar line that will run between the foot of Canal Street and Union Passenger Terminal on weekdays and between the French Market and Union Passenger Terminal on weekends. 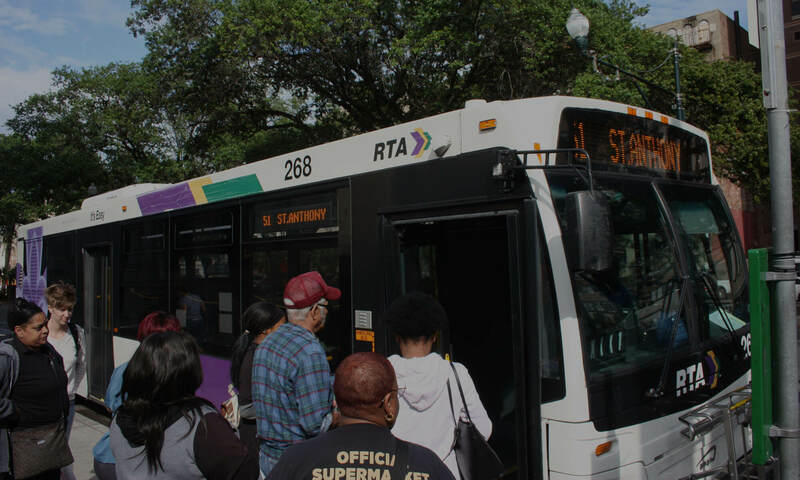 Extend the #84 Galvez bus to connect to St. Claude Avenue. Transport for NOLA has significant concerns with the RTA’s proposals– most of which stem from the changes proposed to the CBD transfer station. More than 14,000 transit riders pass through transfer point daily. Next PostNext Transit Week 2012 is here!